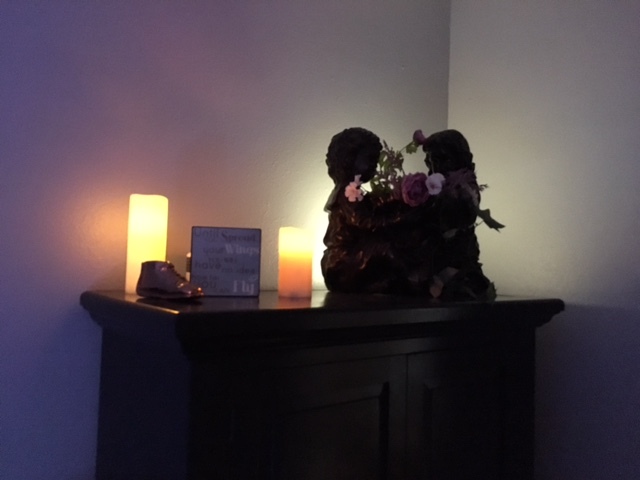 Would you like to tour the birth center in person? That’s great, because we would love to give you a free personal tour. 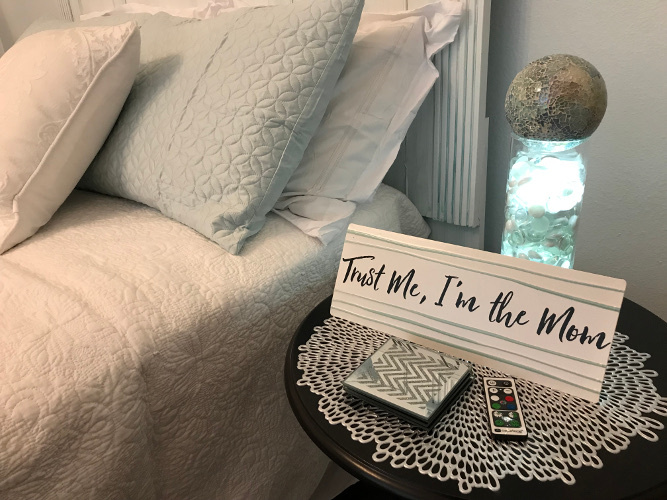 During a personal tour, you are provided an opportunity to meet with the midwives in person to ask any questions you might have before making a final decision. You will also be given a small free gift as our way of saying “thank you” just for dropping by. Just give us a call today if you would like to schedule a free tour. 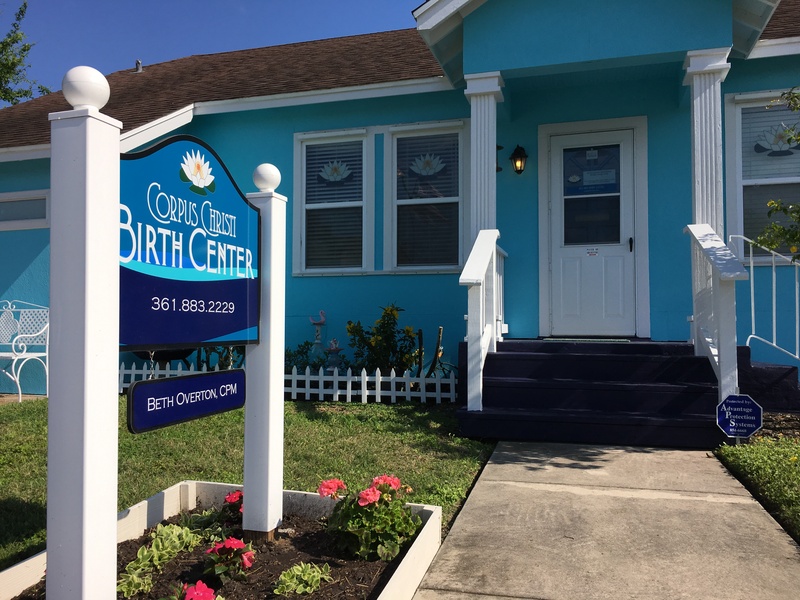 The Corpus Christi Birth Center is the only free standing birth center in Corpus Christi, Texas. 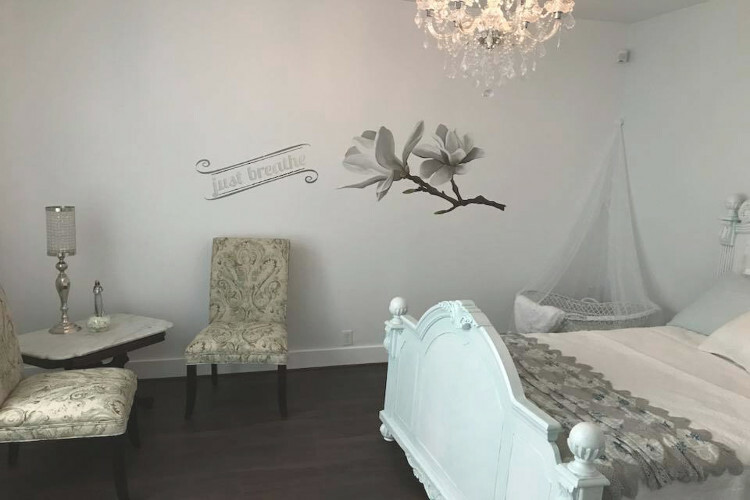 It is quite charming and we hope to make you feel right at home every time you visit, especially when you give birth with us. 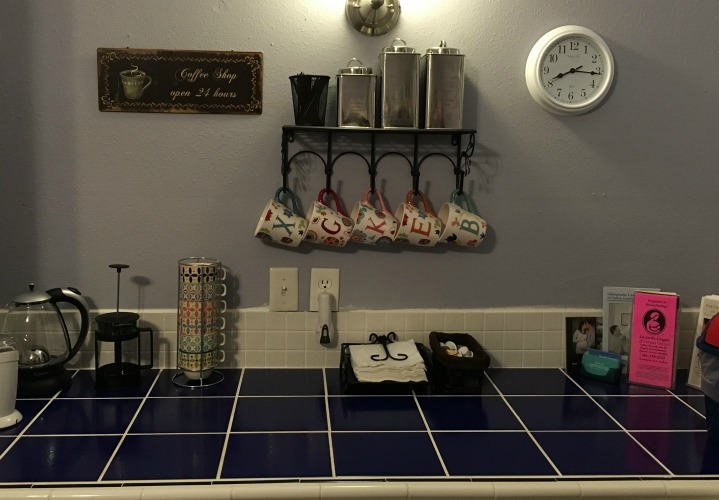 Our facility is used only for labor and birth. The prenatal visits will be done at our prenatal office which is only about one mile from the birth center. This allows women to labor privately and does not disrupt the prenatal visits of other patients. 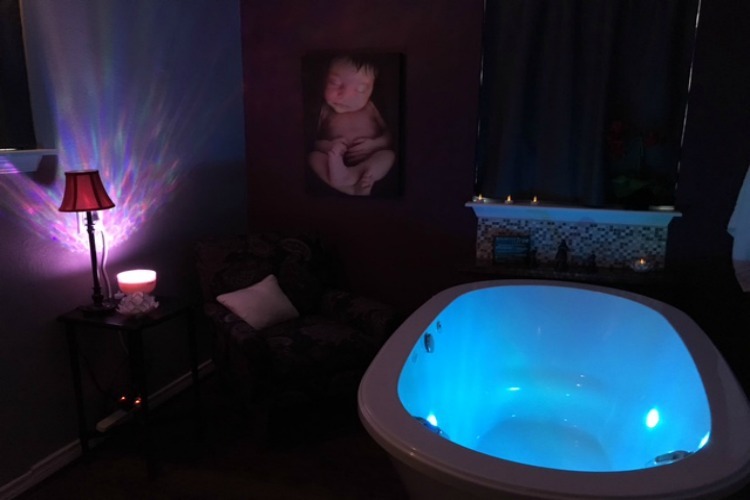 We have two birth suites. Each room is named after the midwife, Beth’s two daughters. 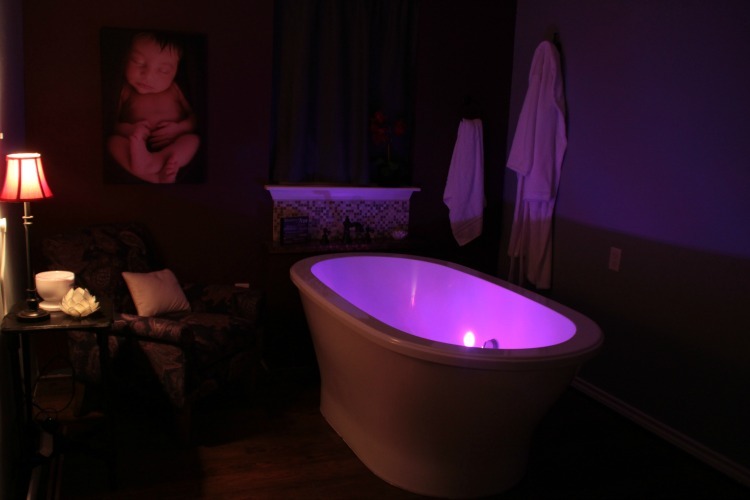 Each suite has it’s own bathroom and water birth room included. The “Katherine Alice” suite is named after Beth’s first daughter. 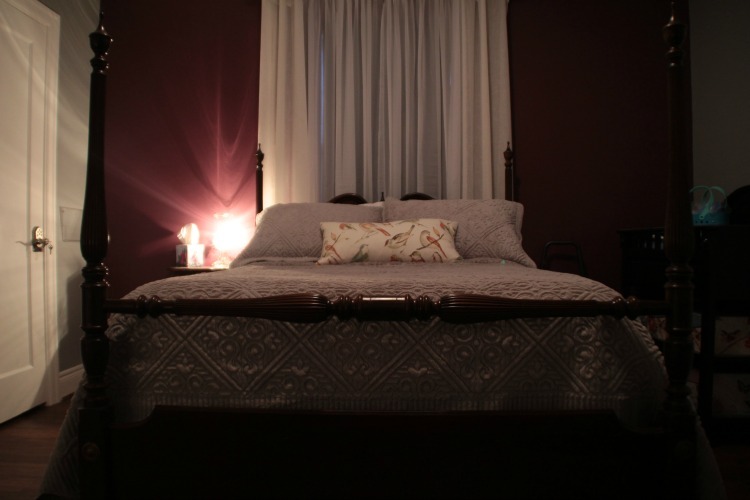 It is painted a soft gray and plum and features a built in birth tub complete with underwater lights and has an antique four poster bed. 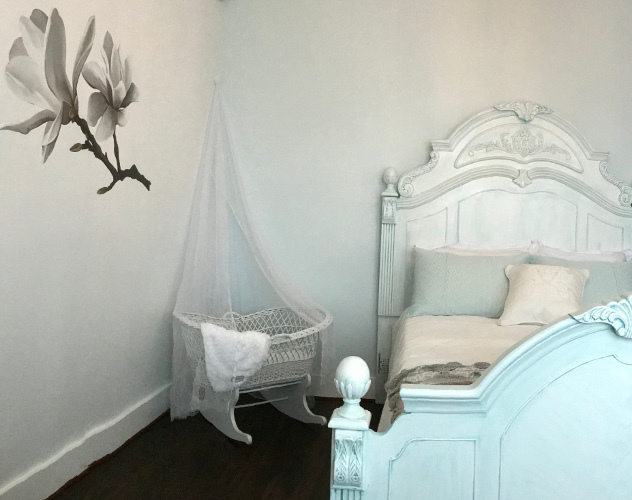 Our newest birth suite is named is named “Jessica Ann” after Beth’s youngest daughter who also happens to also be a midwife working for the San Antonio Birth Center in San Antonio, Texas. This room is beautiful with an all white theme. 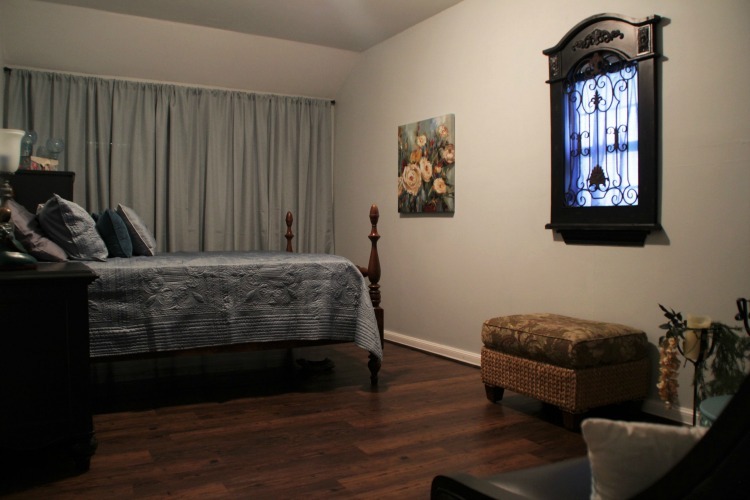 But the soft lighting allows us to create a dimly lit room with a softly lit ambiance as well. 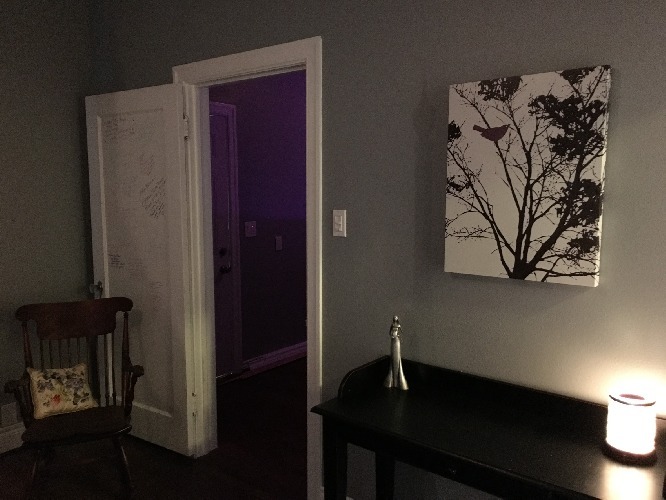 The lights in this room can be adjusted to any color preference you prefer. 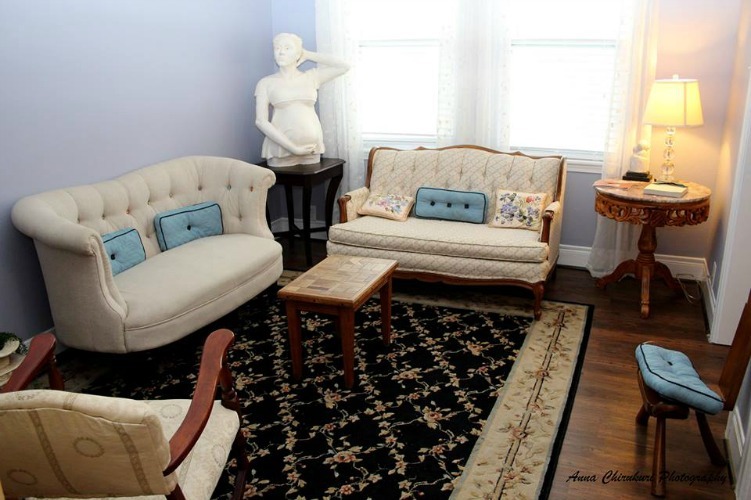 We have a small living area for family members and visitors to wait if you choose. There is a small coffee bar available to them. 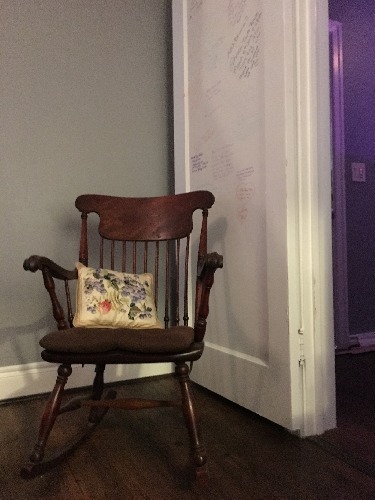 When a baby is born in a room at the birth center, the parents get to “graffiti” the door of that room. It’s always fun to read the names and birth announcements on our doors. Our prenatal office is located on Reid Drive. And we started a collection of baby footprints on our wall when we opened the prenatal office. Even though we’ve only been putting them on the wall for a short time, we have quite a collection.